This section will list several of the dimensions with their descriptions so that those who are awakening can properly identify the specific dimensions to which they are becoming aware. There are higher dimensions of course but I have listed and described the dynamics, only of those dimensions that I am awakened to personally. So in this regard, the scope of the dimensions I have listed extend only to the 9th. Multidimensional Awakening is effected through the process of core (kundalini) energy rising and awakening major energy centers around the body. Each of these major energy centers have a direct relationship and connection to a specific dimension. Which when fully awakened on all energetic levels associated with a dimension will awaken an individuals ability to perceive the dimension and it’s environment. We have within our multidimensional makeup a body associated with each Dimension. Many believe that there is only an Etheric and Astral Body, however this is a slight misconception. The Body-Mind-Spirit triad that encompasses our being transcends far beyond 5th Dimensional time-space. Our bodies are energy made manifest and we are capable of being made manifest on many dimensional levels. The energy of our bodies merely changes as we ascend to each dimension. It changes to match frequency and composition of the Dimension but is most importantly still present. Awakening our awareness of a particular dimension involves awakening sensory perception on the body associated with that dimension enabling us to utilize that specific body to traverse and experience the dimension. We have in fact, a multitude of bodies within our entire multidimensional system. Physical body, Etheric body, astral body, causal body, mental body, celestial body and so on. These bodies, although existing in many different forms and evolution, are designed to facilitate awareness in all dimensions. One of the processes of evolution involves awakening the awareness of each body-consciousness in each dimension. The evolutionary awakening process is described in groups of seven. Each group of seven represents a level of evolution. The human evolution level is represented by their seven chakras, root, sacral to crown. These seven chakras are specific to a particular dimension. However, within each body ie. physical, Etheric or Astral all several chakras are present and actively engaging each body. Although at the same time a direct correlation exists between a specific chakra and a particular dimension. Each chakra relates to senses, such as taste touch smell etc. As you awaken multidimensional awareness you awaken your dimensional bodies directly proportional to your chakras. Eg, awakening your Etheric body requires all chakras to become fully active on the Etheric dimensional level. The same applies to higher dimensional awakening. These effects are evident in clairvoyants that have Etheric Vision and Senses, while others may have Astral Vision and senses. The chakra senses awaken within a body and the body is ready to be utilized in the dimension it was designed for. So in addition to necessitating an awakening of the chakras and their senses on a particular dimensional body, we also have to awaken the chakras on all the dimensional bodies, to become complete in our multidimensional evolution for this level. A gradual kundalini awakening will awaken each dimensional body step by step, allowing a person properly familiarize themselves with one dimension before awakening to another. Rapid kundalini awakening tends to characterize itself by blasting energy through all dimensional bodies and chakras awakening them almost simultaneously, forcing an experience of similar proportions. There is no definitive step by step process, some may awaken to higher dimensions before the lower, some the lower before ascending awareness to the higher dimensions and planes. Some may awaken Astral Sensory Perception (Clairvoyance, Clairaudience, Clairsentience, Clairgustance and Clairolfactory Perception) before Etheric Sensory perception. In some exceptional cases some individuals will awaken awareness of all dimensions listed at once, which was the case in my awakening. This is commonly termed as Rapid Kundalini Awakening, and can be as unpleasant as it is extraordinary in experience. Contrary to many circulating theories, ascending to higher dimensions does not endow an individual with complete magical understanding of the Dimensions and environments. As you ascend awareness you are merely opening the door to higher Dimensional experience which extends your capacity for knowledge and understanding. The higher you ascend, the easier the ability to access the higher knowledge within. Ascension allows access to higher knowledge, it does not however endow you with complete knowledge. To access higher knowledge it is necessary to understand how to access it. The process of discernment concerning the origins of specific knowledge you obtain need to be applied, whether the knowledge originates from God/The Source, The higher self, or other outside forces. Ascending to higher dimensions involves ascending to a level where there is not only unfamiliar environment and planes, but where highly advanced beings exist. These beings can sometimes appear to be unaccomodating from the perspective of those Earthborn. In this it is integral that we master any dimensions we ascend to, including understanding frequencies, polarity, resonance, energies, navigation as well as our ability to communicate with the many different advanced beings that frequent these planes. As we ascend to higher planes our allocated Spirit Guides and Teachers will appear to aid in our growth towards mastery. They are essential in teaching you to master the higher Spirit Dimensions, as they will aid you through experiences designed for rapid growth. 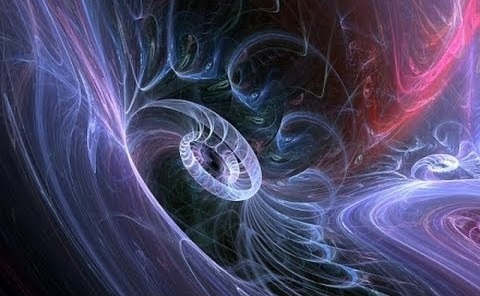 Further information on these Spirit Guides can be found under the Starseed Awakening section of this blog.